First published in 1983, this edited collection is based on contributions at a Scandinavian symposium on the place of women in Islamic society. It offers perspectives which illuminate our understanding of social relationships and structures pertaining to a vast number of the world’s population dispersed throughout Asia and Africa. Sociological and anthropological investigations of social organization and the behavioural patterns provided in these papers demonstrate that the status of women, their rights, duties and control over property, their body, the degree of seclusion and veiling, vary considerably. Overall, this collection of papers show that the relationship between Islam and the everyday lives of Muslim women is a complex picture, one that is confronted with a considerable range of interpretations of laws and traditions. 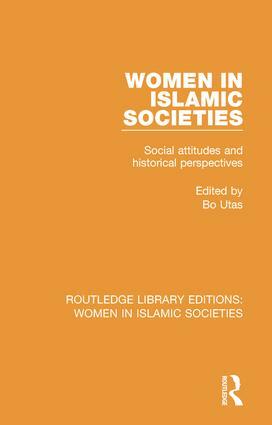 This book will be of particular interest to those studying women and Islam, anthropology, religion and sociology.